Home / Educational and Fun! 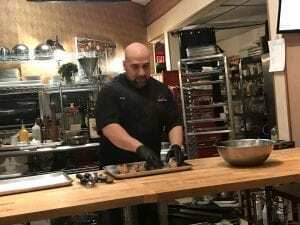 My co-workers and I went to the Sunday Sauce class with Chef Gio on Monday night and had a great time. Chef Gio is the perfect combination of being serious about his craft as well as being fun and approachable. His class is so much more than just learning to prepare specific dishes. He provides information and instructions that apply to many other dishes as well. I’m looking forward to additional classes!